NBC’s two-hour live edition of America’s Got Talent strutted through prime-time Tuesday after the usual suspect seized the 7 p.m. throttle. Reruns of CBS’ NCIS still do better than just about anything else on the network’s summertime schedule. And Tuesday’s 7 p.m. episode easily whipped all competing programming with 213,039 D-FW viewers. NCIS also prevailed among advertiser-prized 18-to-49-year-olds, with NBC’s Food Fighters running second in both ratings measurements. AGT then pole-vaulted to the top spot, averaging 269,849 total viewers from 8 to 10 p.m. while also dominating among 18-to-49-year-olds. But the 61,877 viewers in that key demographic were a paltry percentage. If the Nielsen ratings are to be believed -- and sometimes they’re real head-scratchers -- Fox’s 8 p.m. repeat of New Girl had “hashmarks” (no measurable audience) across the board. And the network’s 8:30 p.m. rerun of The Mindy Project registered just 1,420 total viewers and zilch in the 18-to-49 demographic. Inheriting basically no lead-in audience, Fox4’s 9 p.m. local newscast then soared to 113,621 total viewers and 32,567 in the 18-to-49 range. That’s well beyond a quantum leap. Languishing over on the still relatively new Fox Sports 1 cable network, the Texas Rangers averaged 71,013 total viewers for their 12-11 home loss to the Yankees. NBC5 had the most total viewers at 10 p.m., edging CBS11. Fox4 and the Peacock tied for first among 25-to-54-year-olds, the main advertiser target audience for news programming. Fox4 ran the table at 6 a.m.; NBC5 did likewise at 5 p.m. and added a 6 p.m. win in total viewers. The 25-to-54 golds at 6 p.m. were shared by Fox4 and WFAA8, with NBC5 close behind. ABC’s two-hour finale of The Bachelorette and its thorny after-party gave the network a prime-time sweep in total viewers opposite mostly first-run programming Monday night. The 7 to 9 p.m. decision-maker, in which Andi gave a rose to someone, averaged 184,634 D-FW viewers in fending off competition from CBS’ quartet of sitcom repeats and new episodes of “reality” show competitors on Fox and NBC. Fox’s Master Chef fared the best among the unscripted shows, drawing 142,026 viewers in the 7 p.m. hour before the network’s Hotel Hell dropped to 113,621. On NBC, the premiere of Running Wild with Bear Grylls had 127,823 viewers from 7 to 8 p.m. before the first hour of the Peacock’s American Ninja Warrior inched up to 134,925 viewers. CBS’ best comedy draw, an 8 p.m. rerun of Mike & Molly, replicated The Bachelorette’s overall average of 184,634 viewers. But in direct competition from 8 to 8:30 p.m., that portion of Bachelorette had 198,836 viewers. ABC’s following After the Rose special also ran first in the 9 p.m. hour with 191,735 viewers. That blew the lid off CBS’ competing new hour of Under the Dome, which ran third with 142,026 viewers behind the Bachelorette add-on and Fox4’s local newscast (170,431 viewers). Among advertiser-prized 18-to-49-year-olds, ABC won from 7 to 9 p.m. before Fox4’s news nipped After the Rose for the top spot at 9 p.m. Under the Dome fell to fourth in this key demographic, drawing few than half the 18-to-49-year-olds of each competing attraction on Fox, ABC and NBC (which offered the second hour of American Ninja Warrior). The Texas Rangers remained in a ratings valley despite a Yu Darvish win and the beginning of the last series in front of North Texas crowds by Yankee shortstop Derek Jeter. The game averaged 106,520 total viewers on Fox Sports Southwest. Just 29,310 were in the 18-to-49 age range. NBC5 dominated the 10 p.m. competitions, winning in both total viewers and with 25-to-54-year-olds (main advertiser target audience for news programming). The Peacock also notched a 6 a.m. win in total viewers and swept the 5 p.m. competitions. Fox4 had the most 25-to-54-year-olds at 6 a.m. NBC5 won in total viewers at 6 p.m. while the 25-to-54 golds were shared by Fox4 and WFAA8. WHILE I WAS AWAY . . . Teresa Frosini, who had been an early morning traffic anchor and later an entertainment reporter at CBS11, is no longer with the station. Frosini’s last day was on July 18th, a CBS11 spokeswoman said. Frosini joined CBS11 in May 2006. It’s great to be back in friendly, sweltering D-FW. No, really. So here’s our first “snapshot” in a while. CBS’ summertime crime drama, Unforgettable, topped all prime-time attractions Sunday with 241,444 viewers in the 8 p.m. hour. The network also won from 6 to 8 p.m. with a 60 Minutes rerun (234,343 viewers) and a new hour of Big Brother (177,533). Fox4’s 9 p.m. local newscast and CBS’ competing Reckless shared the top spot in prime-time’s final hour with 134,925 viewers apiece. Among advertiser-craved 18-to-49-year-olds, CBS won the first two hours with 60 Minutes and Big Brother, which easily was Sunday’s biggest draw in this key demographic. ABC’s Rising Star singing competition comfortably commanded the 8 to 9 p.m. slot before Fox4’s newscast won just as easily. Both victors more than doubled the 18-to-49 audience of their nearest competitor. Friday night’s top draw in total viewers was ABC’s 9 p.m. hour of 20/20, which likewise ranked No. 1 in prime-time among 18-to-49-year-olds. The Texas Rangers-Oakland A’s game on TXA21 averaged 106,520 total viewers, tying ABC’s Shark Tank for an overall fourth in that measurement behind 20/20, CBS’ Blue Bloods and NBC’s Dateline. Here are Friday’s four-way local news derby numbers. CBS11 edged WFAA8 for the most total viewers at 10 p.m. but the ABC station won easily among 25-to-54-year-olds (main advertiser target audience for news programming). Fox4 again muscled up with twins at 6 a.m. and also ran the table at 5 p.m.
NBC5 and CBS11 tied for first in total viewers at 6 p.m. while Fox4 drew the most 25-to-54-year-olds. D-FW-based CBS11 has named Mike Garber as its new news director. He replaces Adrienne Roark, who resigned in May after a four-year tenure to become general manager at CBS affiliate KOIN-TV in Portland, Oregon. Garber, who will join CBS11 later this month, has been news director since 2012 at WPTV/WFLX-TV in West Palm Beach, FL. They respectively are the NBC and Fox affiliates in that area. It’s a big jump for Garber, from TV market No. 38 to No. 5, according to Nielsen Media Research estimates. There’s work to be done. CBS11 had a rough time in the May “sweeps” ratings, running fourth at 6 a.m. and 5, 6 and 10 p.m. in the key 25-to-54-year-old news demographic favored by advertisers. But the station had a pair of second place finishes in total viewers at 6 p.m. and 10 p.m.
Garber earlier was news director from 2008-’12 for WTLV/WJXX-TV in Jacksonville, FL. 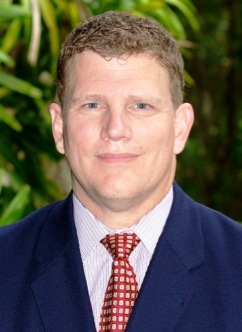 He’s a graduate of the University of South Florida and began his TV career as a sports producer a WTVT-TV in Tampa, FL. His hiring ends a run of women news directors at all four of D-FW’s major television news providers. Susan Tully, easily the dean of the group, continues as news director at NBC5. Robin Whitmeyer and Carolyn Mungo respectively are the news directors at Fox4 and WFAA8. Suzie Humphreys, the resident firecracker on KTXD-TV’s (Ch. 47) locally produced The Broadcast, will be leaving the program at the end of July. Humphreys appeared on The Broadcast’s Thursday, July 3rd edition and has been with the show since its Feb. 18, 2013 premiere. The two-hour program airs on weekdays from 9 to 11 a.m. and is repeated from 4 to 6 p.m. Ratings almost always are “hashmarks,” the TV industry term for no measurable audience. 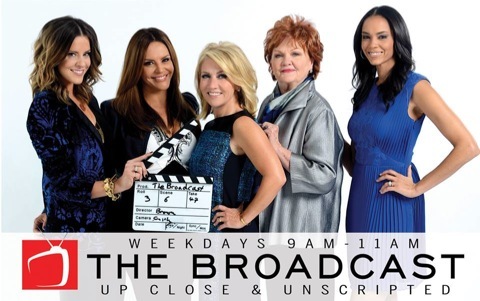 But The Broadcast, which also is shown in other smaller Texas TV markets, has persevered and continues to draw a wide array of guests ranging from local chefs to nationally known stars such as Linda Gray and cast members from Hot in Cleveland. Humphreys, at least a generation older than her co-hosts on The Broadcast, was best known for years as D-FW radio legend Ron Chapman’s co-host on his No. 1-rated KVIL-FM morning drive time program. She is unafraid to bluntly express her generally conservative opinions and regularly has clashed with her colleagues on The Broadcast, primarily Courtney Kerr and Lisa Pineiro. Airing on a weekday workday afternoon rather than a Sunday afternoon, the United States’ tense, overtime bow-out to Belgium fell well short of the ratings for Mexico’s World Cup soccer exit versus The Netherlands. Neither D-FW ratings number takes into account the audiences for watch party or workplace viewings. But the in-home Nielsens still tell quite a story. Belgium’s 2-1 win over the U.S., running from 3 to 5:32 p.m. Tuesday, averaged 276,951 viewers on ESPN and drew another 156,229 for Univision23’s Spanish language telecast. The grand total of 433,180 viewers is smallish compared to the 703,028 who watched Mexico-Netherlands late Sunday morning and early Sunday afternoon on the two networks. For that match, the bulk of the viewing audience not surprisingly chose Univision23, which by itself had 575,205 viewers. The United States’ final World Cup match in 2014 also fell short of the combined 546,800 viewers for the team’s Sunday, June 22nd tie with Portugal. Among advertiser-prized 18-to-49-year-olds, U.S.-Belgium drew 123,755 viewers on ESPN and 68,391 on Univision23. The total of 192,146 is way behind both Mexico-Netherlands (358,237) and U.S.-Portugal (315,900). It obviously helped that both of those higher-rated matches were on a Sunday rather than a workday. Still, the disparity in ratings for the U.S. and Mexico exits make it fairly clear that the biggest soccer audiences in D-FW were for Mexico’s team. It seems likely that the local ratings would have continued to tell that story if both teams had advanced to the final eight rather than being knocked out in the round of 16. Elsewhere Tuesday, NBC’s two-hour edition of America’s Got Talent fell short of the audience for U.S.-Belgium but led all prime-time programming with 312,457 total viewers in the 7 to 9 p.m. slot. AGT also drew the most 18-to-49-year-olds (113,985). Fox4’s local newscast won at 9 p.m. in both ratings measurements. Fox4 and CBS11 tied for the most total viewers at 10 p.m., but NBC5 ran first with 25-to-54-year-olds (main advertiser target audience for news programming). The Peacock also rose up for a rare sweep of the 6 a.m. competitions and added a 6 p.m. win in total viewers. Fox4 ran the table at 5 p.m. and notched another gold at 6 p.m. among 25-to-54-year-olds. A rising tide lifts all boats -- latest example. CBS’ Season 2 premiere of Under the Dome led all Monday prime-time programming with 234,343 D-FW viewers in the 9 p.m. hour. Nothing else came close, with Fox4’s competing 9 p.m. local newscast placing second with 142,026 viewers. Dome also won its time slot among advertiser-prized 18-to-49-year-olds, but Fox’s 8 p.m. episode of 24: Live Another Day ranked as the night’s biggest draw in this key demographic. Demonstrating the continued power of a dominant lead-in program, Dome propelled CBS11’s 10 p.m. news to a runaway win in total viewers with 248,546. WFAA8, inheriting Monday’s worst 9 p.m. lead-in with ABC’s Mistresses, nonetheless managed a distant second place finish with 134,925 viewers. But CBS11 couldn’t cure its continued malady among 25-to-54-year-old viewers (main advertiser target audience for news programming). Despite another winning performance by Dome in this demographic, the station’s 10 p.m. news ran fourth behind NBC5, WFAA8 and Fox4 in that order. But the difference between first and fourth place was just 15,235 viewers. Here are Monday’s other local news derby results. Fox4 won at 6 a.m. in both ratings measurements and NBC5 did likewise at 5 p.m. The 6 p.m. firsts went to the Peacock in total viewers and Fox4 among 25-to-54-year-olds.